The Sabarimala verdict is received with sharp reactions. To some extent, it was expected, but the women for whose entry this entire case was fought for years would come out in numbers in the name of ‘Save Sabarimala’ campaign. Generally, Hindu sects are very flexible when it comes to their customs and rituals, but this verdict has opened up many questions about the uniqueness of temple traditions and their sanctity in many ways. We will have to address those questions as a society by taking everyone together. The Supreme Court verdict of September 28 against the tradition of the women, between the age of 10 and 50, from entering Sabarimala Temple has paved the way for heated arguments in the State of Kerala. There were three judgements, the first one by former CJI Dipak Misra and Justice Khanwilkar, the second and third by Justice Rohinton Fali Nariman and Justice DY Chandrachud respectively. These three judgements were for lifting the ban. Justice Indu Malhotra, the only woman judge on the five judges Constitution Bench, delivered a dissenting judgement. The majority of judgements were against the inequality based on gender. The lifting of the ban has stirred a hornets’ nest in Kerala, the seat of Sabarimala. Hindu women by and large are against the verdict. They say, they believe in the tradition of keeping away from the temple between the age of 10 and 50 and they are ready to wait and no question of violating the tradition. Kerala witnessed massive rallies on October 2 supporting centuries-old tradition. Interestingly, the participation of women in the rallies was incredible, beyond imagination. 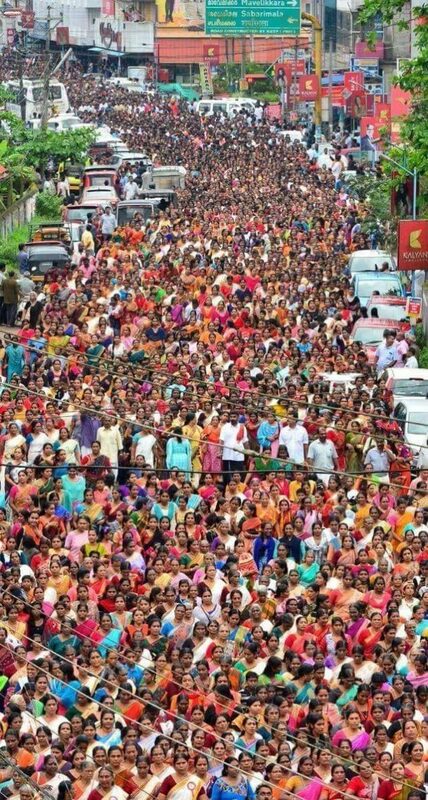 More than ten thousand women participated in the rally in Pandalam, the place of the Pandalam royal family, the major place linked with the legend of Lord Ayyappa, the presiding deity of Sabarimala. At several places, traffic on the highways was obstructed for several hours, thanks to the massive rallies. Significantly none of them was organised by any mainstream Hindu bodies. All were spontaneous congregations. Since Government of Kerala is not in a mood to move a revision petition before the apex court, the mass movements and agitations are highly likely to take place in the state. 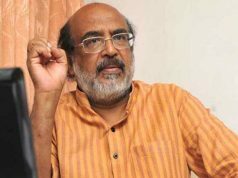 Hindus blame the CPM-led LDF government for not arguing the case effectively in the court. They cite several examples of spending several lakhs of rupees for conducting cases in the apex court even though they lacked merit. The case against reinstating the ousted DGP TP Senkumar, IPS, is an example. At last, the Government failed, and Senkumar was reinstated. In other words, the LDF government spends lakhs for their false prestige, but it develops cold feet when the issue is of paramount importance for Hindu tradition. Smt Padmaja Menon, a social activist, told this correspondent that the SC verdict is against the fundamental rights of the deity hence against the Constitution. The authorities should have conducted a referendum among the women of the age between 10 and 50 before submitting their opinion before the apex court. She, along with her friends, would educate the young women about this and persuade them not to visit Sabarimala until they complete 50. Smt. C.V. Sajani, a social worker, told that women’s Sabarimala entry should be considered as a matter of faith. She says the equal rights laid down in the Constitution are about the people’s day-to-day life, not concerning their faith and worship. The architects of Constitution had not envisaged their control over temples. 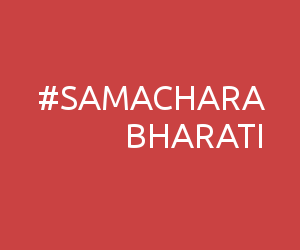 Temples are constructed and sanctified by the Tantrik system. It should not be upset sans the expert advice of the exponents of the system. And, the sentiments of the believers should not be hurt under any circumstances. Smt Raji Unnikrishnan, a social worker and ardent believer. She says real believers or bhaktas will not go to Sabarimala merely due to the court verdict. The traditions should be safeguarded. If at all then this and experts deliberate and conclude, she is ready to accept it wholeheartedly. Kum Krishna Nandakumar, a young professional, told that women’s Sabarimala entry is not an urgent issue to be addressed. She wonders why Government of Kerala is so keen to interfere in the affairs of Hindus alone. They are mum in the case of Muslim women’s entry to mosques. They are not interested in the demand for authorising nuns to conduct a confession in the church. Hindus are capable of handling their religious issues. No need of authorities’ interference in them. Meanwhile, Justice Kamal Pasha retired Kerala High Court said, he believes that women will not be interested in going to Sabarimala even in the wake of the SC verdict. CM Pinarayi Vijayan, during his post-cabinet meeting press briefing on October 3, said that his government would not move nay revision petition before SC. He says, now women can go to the temple based on the SC verdict. Immediately after the verdict, Thiruvithamkoor Dewaswom Board President Padmakumar had told that Board would move revision petition. Later on, he went back on his words. He said government policy is not for revision petition. He added that the CM had the right to scold and punish him. That means, obviously CM had scolded him for the statement he made sans (CM’s) permission. President is a CPM leader and former party MLA. In the meantime, Police lathi-charged and tear-gassed the BJP and Yuva Morcha workers in Kottayam on October 3 when they carried out a massive march against the LDF government’s deplorable stand in SC verdict issue. Now, Bharatiya Mahila Morcha has staged a mammoth protest rally in front of the offices of Thiruvithankoor Dewaswom Board in Thiruvananthapuram on October 4 against the LDF government’s actions to hurt the feelings of the Hindus. BJP leader Shobha Surendran and Mahila Morcha state president Prof. V.T. Rema addressed the gathering of thousands of women activists. Congress too has entered the fray. Congress leaders have stated that they would stand for maintaining the tradition in Sabarimala. LoP Ramesh Chennithala and newly appointed KPCC President Mullappalli Ramachandran met the former Dewaswom Board presidents and members. Obviously Congress or UDF men, to chalk out their strategy. Ramesh urged the LDF regime to go ahead with a review petition against the verdict. Former CM and senior Congress leader Oommen Chandy suggested that the government should not “hastily implement the order”. He said, while the court verdict is binding, it has also created grave concern among believers. But, the party’s central leadership called the court decision progressive and far-reaching. BJP state president Adv. P.S. Sreedharan Pillai told the reporters that his party would stand with the “Hindu faithful”. He made it clear that there is no division of opinion on the issue. CPM government is trying to destroy the temple which is a centre of Hindu reformation. There is a Communist conspiracy against Sabarimala.